wow… great catch. I have always wondered if something was wrong with me. I always see these great books that started out as short stories but every time I thought I had a great idea for a short story I gave up on it after 100 pages when I realized i wasn’t half into it. I should have just been writing novels the whole time. wow… just finished reading that whole report… I didn’t realize how much money was available to self-published authors. I’m going to write a 201 word filthy book. Mark my words. I will make a so much money it will make you puke. That is, if 75 dollars makes you puke, which is what I assume is what I’ll make. Yup, depressing. So, sounds about right. Interesting stuff. Like you I am in awe of Data Guy at authorearnings.com. But maybe it is not as bad as it first appears for Novellas and other shorts. If you look at the recency of sales (i.e. 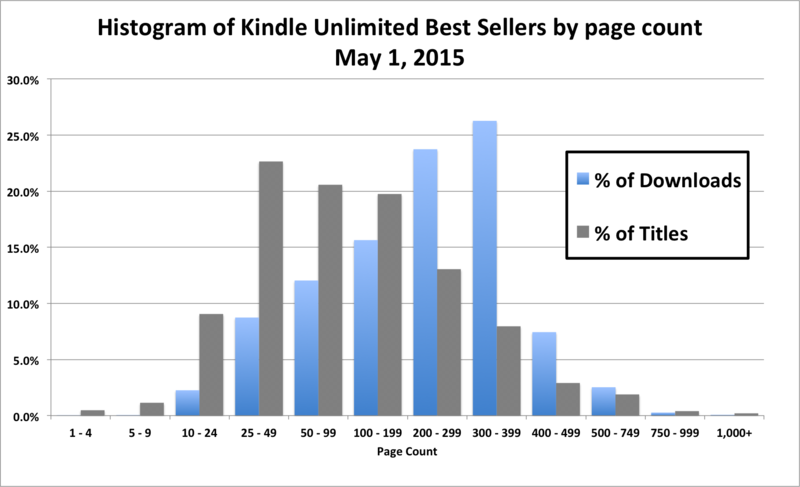 plot the quantity sold against the ebook release date) then generally, for all ebooks the more recent the release the higher the sales. The fall off as the ebooks age over that first year is astonishing. I bet that Novellas are among the very first to feel the ageing affect and I that the vast majority of novellas (or smaller) sell very few (if any) after a year. So maybe the good news is is that when you release a novella that huge mountain of similar length ebook competitors is in fact a mountain of corpses. The bad news of course is that in all likelihood your little ebook will be joining the graveyard very quickly. In the next few days I am doing some analysis on a couple of shorts I published way back in 2012/3 and are now essentially dead. I hope folk publishing in the novella/shorts market might find their history from start to finish interesting. Anyway, thanks for the informative post. It is what set me off!